BES IT Systems are a Network Maintenance Service Provider servicing the greater Brisbane and Logan region. BES employs a skilled team of on-site support engineers that cover the extensive range of skills required for on-site and remote network support Network Maintenance Services. Our Centre allows customers to leverage extensive software and help desk expertise to solve their issues. Technical support services are delivered via phone, remote access or on-site visits to resolve any network issues. 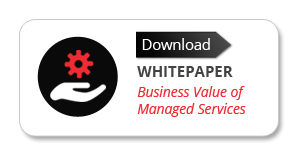 Download our whitepaper to learn more about how Managed Services work, why companies choose them and what to look for in a Managed Services Provider. How does BES provide Network Maintenance Services in Brisbane and Logan? Our support team determines the problem and works to resolve it over the phone. If our staff cannot solve the issue via phone support, we access your system and work on the issue remotely and interactively. If a physical visit is required an engineer will visit your site. Technical support services can be accessed through a variety of options to suit your needs. Users can log their tickets directly via our online portal or our help desk line is available 8:00am – 5:00pm weekdays. We can help you to maintain your network. Please contact us and we will provide you further information about our Network Maintenance Services.